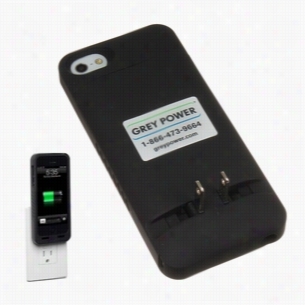 This iPhone Case can also plug into the wall to function as a back up battery. The case fits the iPhone 5G & 5S models. With this charging case, you will no longer have to search for charging cables - it is equipped with prongs that fold out, all you'll need is an outlet. Handsome matte black PU leatherette book cover Case with black stitching and slim magnetic closure, device fits securely in the internal frame which locks secure with a Velcro flap, Removable magnetic Bluetooth keyboard fits into inner frame for a slender profile, On/Off button, Inner slots in the keyboard frame act as an easel for your iPad - for easy viewing, Up to 67 hours of use after charging, Charging cables included. 6 Pieces Spill Pill Case. 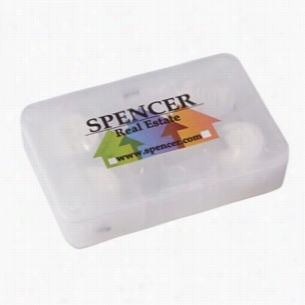 This six piece spill pill Case works by adding water and the towels unfold to become useful, moist cleaning towels. Perfect for use in an office or at restaurants, these handy towels offer an easy cleaning solution at a moment's notice. Use this customizable case to gain attention at tradeshows, company events and seminars to effectively advertise your business and add your logo to the case for regular brand exposure. 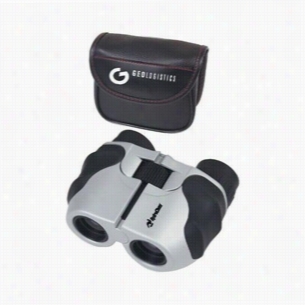 6-13 x 22 Zoom Lens Sport Binoculars with Case. When you really want to get into the action with a small optical powerhouse, this is the binocular of choice. This small binocular features 6x-to-13x magnification zoom which remains in Focus while zeroing in on the action. You can even read fine newsprint from across the room. Features 22mm objective lenses, large center wheel focus control, diopter adjustment, fitted rubber eyepieces, ruby lenses and rubberized outer housing. Each comes complete with wrist strap and padded nylon Case with velcro closure. 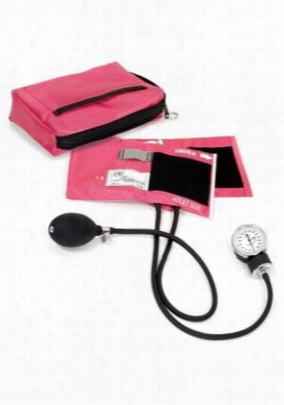 Prestige blood pressure cuff with color coordinated carrying case. - Passion - OS. 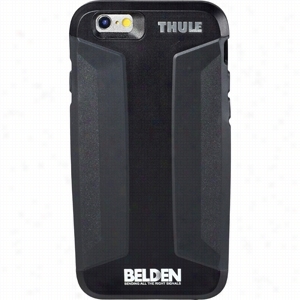 Thule Atmos iPhone 6 Case. Delivering a sleek silhouette with outstanding protective performance, the ThuleÂ® Atmos X3 Case establishes a new benchmark for superior protection in a case that doesn't add bulk to your iPhone. Patent Pending bi-component Armor provides exceptional iPhone protection with minimal bulk. Shock-Stop corners give added impact protection where it's needed most. Material: ABS Plastic. Manufactured By Leeds. Voyager Bluetooth Keyboard and Case. The perfect Bluetooth keyboard for your everyday adventures. 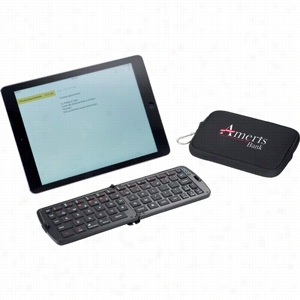 The Bluetooth keyboard can conveniently be stored in the neoprene case, which helps add protection during your travels. 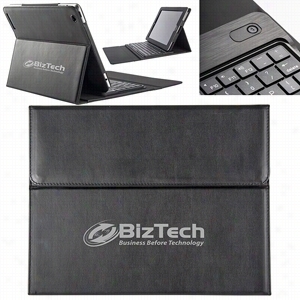 Perfect for students and business travelers who use their iPad, Galaxy Tablet, or any other Bluetooth enabled tablet or smartphone. Includes carabineer clip and Micro USB to USB charging cable. Bluetooth working range is 10 meters (33 feet). Material: ABS Plastic. Manufactured By Leeds. Unique sueded iPad cover with cutting-edge technology, 360 degree rotating swivel allows iPad to rotate both vertically and horizontally while in the case, 3 convenient stand positions for watchng a movie or typing, Easy snap on feature allows quick attachment and detachment of iPad onto case, Scratch resistant interior provides quality protection, thick elastic band closure keeps iPad secure. 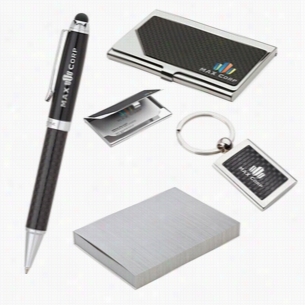 Carbon Fiber Pen, Business Card Case and Keyring Set. Polyester and EVA Zippered Earbud Case. 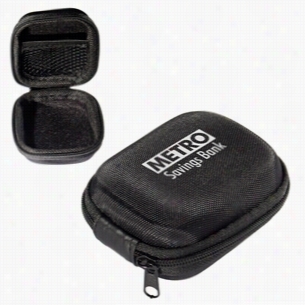 This is a hard-sided zipper closure ear-bud or small cable or accessory Organizer Case. 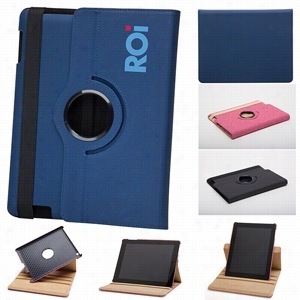 This case comes with a small mesh interior pocket on one side. This case has also been used for non-tech small item storage such as jewelry and other items.. Constructed of durable and easy to clean Nylon over EVA.